We had already informed our readers that BMW 3 series will be launched on 03rd August. As per the company's website, which they have created a new microwebsite the carmaker has placed a countdown timer for the launch. Just a couple of hours after we informed our readers, we were out for a hunt and got some BMW Ultimate 3 series on the road while promotion. 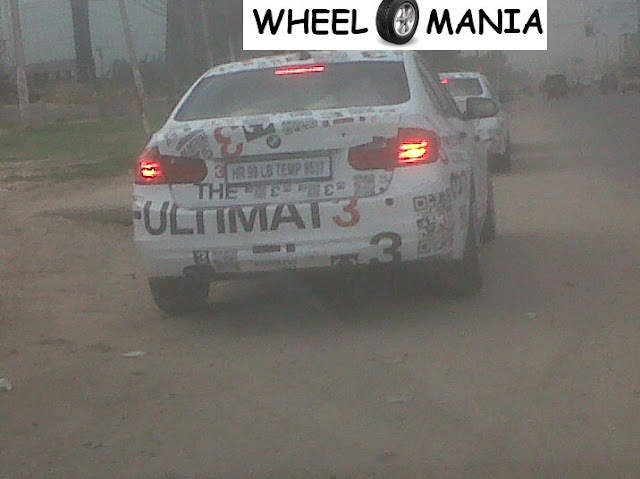 There were 3 BMW spotted with Ultimate 3 graphics on the body which confirmed the same. With the F30 3 Series, BMW India will hope to put more space between itself and Audi. While the interiors of the new 3 series sedan are definitely roomier than the outgoing model, the car also gets a revamp in terms of interior styling. On the outside too, styling has been revised with an all new front and rear. 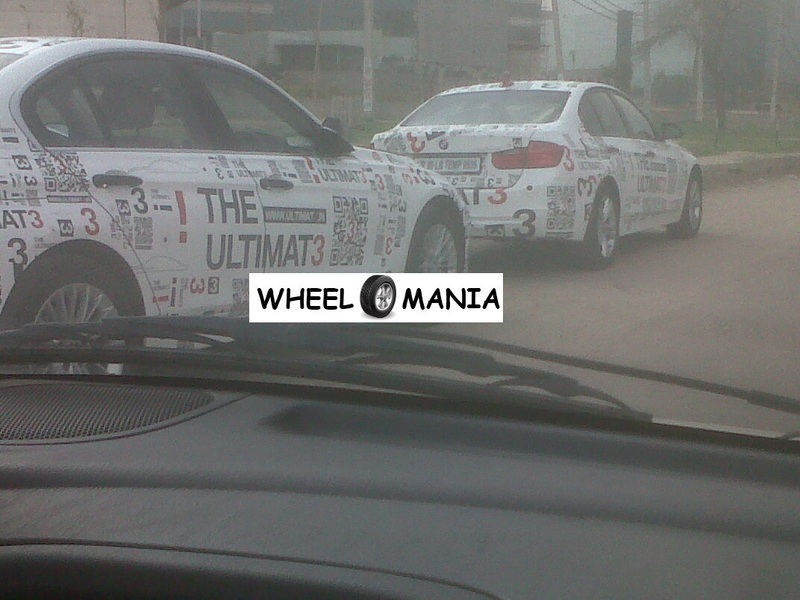 The car now looks like a smaller F10 5 Series sedan, rather than a grown up 3 series. This design philosophy is similar to what BMW adopted with the F10 5 Series sedan which, when launched was seen by many as a smaller version of the 7 Series luxury saloon. All in all, BMW seems to be moving towards a family face for most of its car models and the new F30 3 Series reflects just that. You could also notice the red colored interiors in this new car from the images. We wonder whether these will be standard or form only a part of promotion campaign. The pricing information is still unknown at this point of time, however stay tuned for all other details for the launch on 03rd August 2012. Head on to our facebook page for complete image gallery.